Studies are routinely done 7 nights a week (except certain holidays), and by appointment during the day, to accommodate your busy schedule. Our equipment and facility is AASM compliant. Each room has a private full bathroom, fully adjustable bed, flat panel television, and ceiling fan. Studies can only be obtained with a physician’s order, so if you suspect that you have a sleep disorder, feel free to click on our information links, but discuss your concerns with your physician or one of our associated sleep specialists. Tired of being tired, loud snoring and gasping for air? 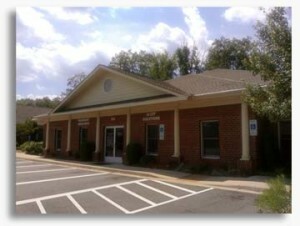 Sleep Solutions of Fredericksburg can help. 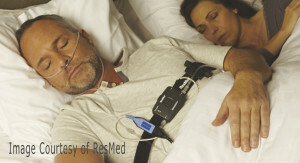 Our portable device allows you to get your sleep study, while staying cozy in the comfort of your own room. Speak to your family doctor or to any of our board certified sleep specialists and let them assist you with your sleep related questions or concerns. We can get you set up for a home sleep study any day of the week including weekends. For more information about Home Sleep Testing; call us a call at (540)372-6430.